LOOKING FOR THE AMBIANCE OF OLD CAPE COD This historic 1925 Sears Kit (Hodgson Style) home on Seconsett Island in Mashpee is situated on a water front bluff on Waquoit Bay. It has its own beach, faces westerly offering beautiful sunsets, and southward is Long Island Sound with Marthas Vineyard in the distance. The "H shaped home has 4 bedrooms and 2 baths is in good condition and has been in the same family since 1952. It has an open floor plan with a 17 x 24 great room, a new fireplace, propane heater and a captains bar. 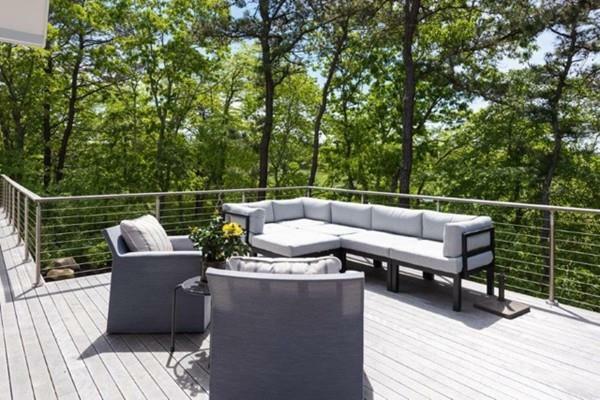 One wing has 3 bedrooms and a full bath; the other wing has a bedroom, a full bath, an updated kitchen, utility room and a large dining room with panoramic views of Waquoit Bay. All bedrooms have a large lighted walk- in closet. The home has a recent new roof, vinyl siding and vinyl windows, an outdoor shower and large patio. Additional property with a two- car garage across the road. It is a must see. Walk to Little River Boat Yard!